Recently I had discussions with several C-suite clients about a comparison between the legacies of two great CEO’s: Steve and Sam. Steve became CEO in 1996 of a company he and a friend founded 20 years earlier and created the most visible company in the world. Today, Company A has the most valuable brand in the world. With its consumer focus, an amazing strength an innovation and product design, and world-class execution, Company A has dominated the world in its chosen markets to the tune of $108B in FY 2011. Company A is also the most valuable company in the world based on market valuation. In a different situation, Sam took over as CEO in 2002 of a company founded in 1911. Through its long history, Company _B_ has created the 2nd most visible brand in the world. With its business focus, an amazing strength an innovation and product design, and world-class execution, Company B has dominated the world in its chosen marketplace to the tune of $107B in FY 2011. Company B is also 1 of the top 5 most valuable companies in the world based on market valuation. In fact, last year an investor named Warren bought almost $11B worth of company B stock citing the company’s long history of excellence. FY 2012 brought CEO changes at both organizations for different reasons. Tragically, Steve passed away after illness just as the new fiscal year is starting leaving the company in Tim’s hands. Much has been written about Steve’s legacy and leadership choices. Some have voiced concern about the future of Company A without Steve since he seemed to make himself indispensable. Externally, he was the visible face of Company A. Internally, projects that Steve was personally involved in got fast tracked while others languished. Why would someone spend their money with you — so what is unique about you? Why would somebody work for you? Why would society allow you to operate in their defined geography — their country? And why would somebody invest their money with you? My C-suite clients and I were talking about the probability of future success of both organizations. We discussed the insight offered by author Jim Collins in his book How The Mighty Fall. In particular, we considered the results of Collins’ research on successfully resilient organizations and his advice for CEOs: utilize rigorous discipline, question relentlessly, be humble and avoid arrogance, watch for risk denial, be wary of silver-bullets. In the end, our conversations return to the choices made by Steve and Sam. Choices around customers, competitors, costs, capital, and communities are very different between companies focused on consumers and businesses. At the same time, choices around discipline, insight, creativity, support, and values do not need to be different. Steve and Sam made very different choices yet were both been remarkably successful. Their legacies have yet to be written and will become clearer with time. We did agree that Sam did not receive the notoriety he deserved. Zappos Great Model Can Work 4 U2! I am over 50. I did not go to Harvard. I did not start my own business at age 22 and sell it 2 years later for hundreds of millions to Microsoft or Google. I am not a Twitter expert. Some could say I have little in common with Zappos CEO Tony Hsieh. In businesses ranging from a start-up with $1M in revenue to a global organization with revenues exceeding $12B, I can point to many examples over 20 years where we used a Zappos-like focus to drive consistent growth. Further, I developed my own roadmap to establish strong, positive cultures in each of these situations. The roadmap is called All-In Leadership. Critical parts of the All-In Leadership roadmap include a balance of Discipline, Insight, Support, Creativity, and Values that enable employees to excel and achieve the organization’s goals. Each of those choices can be further broken down into specific areas that help unlock the potential in others. Access the free summary of All-In Leadership on this site that includes a specific case study of where we tripled the growth rate of a $3B global business and sustained that growth for three years. I remain a fan and customer of Tony Hsieh and Zappos. Hopefully, many more companies will follow what has become known as a Zappos approach. It can work 4 U2! Turnaround Success Starts with i3K! Having been recruited to lead several organizations where it was said a “turnaround” was required, I have learned that organization-wide overhauls seldom work. In fact, some would argue that they’re often not necessary. Organizations are often not as bad as some would say when results are poor, just as they are not as grand as some would say when results are great. The truth is that dramatically improving results in under-performing units most often involves “adjustments” when working with the same employees. The existing organization. It is key to create a culture where employees excel, and it starts with i3K. Everyone wants to work with smart people. Most people don’t need a high IQ to perform well, but they do need to be able to anticipate and adapt to change. Within i3K, intelligence also includes EQ or emotional intelligence. It is important for people to be able to perceive, use, understand, and manage emotions to work well in teams. In addition, people need to be willing and able to work hard. Many have linked success to a combination of inspiration and perspiration. Intensity can be sustained when people are productive and growing, while being supported, recognized, encouraged, inspired, and well-managed. Cultures that support excellence are also based on absolute integrity. Honest and direct communications must become the norm. People need to be open and willing to share their thoughts and feelings without fear of reprisal. Everyone has to seek the complete, “all-in” truth in all situations as they collectively build a reputation for reliability. Utilizing the i3K standard, organizations can assemble teams of smart, hard-working, and compassionate people who trust each other. Once assembled, these teams self-regulate and can deliver incredible levels of speed, innovation and results. With the right people, sustained exceptional performance creates a really successful turnaround. It is true that depending on past execution, this level of performance may be referred to as a turnaround. In other instances, it’s simply called good leadership. Turnarounds are in the news these days. Political media are currently fueled by dueling debates about the merits of private equity firms and their turnaround tactics, including the impact on jobs. Business media report both on companies that have seemingly recovered from our economic tsunami and those that have yet to turnaround. In all cases, the key question is whether a company can sustain positive performance and continue to grow once it has turned around. With sustained growth, all constituents—employees, customers, investors, and the community at large—benefit. In my experience leading successful business turnarounds in many different industries, the key challenge is to ask the right set of common questions. Specifically, finding answers to six key questions has led to consistent turnaround success and growth for companies ranging from a start-up to a multi-billion dollar worldwide organization. If you are leading an organization in need of a turnaround or simply looking to improve your company’s performance, I urge you to thoughtfully consider your answers to each of the questions below. 1. Customers: What do they need to succeed and how can we be the best place for them to get it? 2. Competitors: Where are their strengths and weaknesses and how do we take market share from them? 3. Costs: Where are our opportunities to be more efficient and how to we improve our margins? 4. Capital: How do we ensure we have adequate investment resources and provide the best returns for our investors? 5. Community: How do we demonstrate social responsibility so strongly that the broader public views us as great partners? 6. Culture: How do we attract and retain the best team of people who can answer the first five questions today, and tomorrow when things change? This “6-C” turnaround framework can be used as a starting point to assess your organization’s strengths and weaknesses. The answers to these six questions also hold the key to your company’s long-term success. Flip Flopper or the Right Leader? “A foolish consistency is the hobgoblin of little minds, adored by little statesmen and philosophers and divines.” When Ralph Waldo Emerson penned these famous words in Self Reliance, he never envisioned 24-hour cable news or the craziness of today’s presidential nominating process. Emerson did, however, offer a key to successful leadership—the willingness to learn and adjust. Can my product cialis tabs use leave Since right. is about Romney. In the polarizing, partisan world of today’s primary politics, Republicans and Democrats reward candidates that are clear, confident, concise, convincing, and above all, consistent. While consistency and standing firm reinforces attitudes, builds confidence, becomes a rallying cry among followers, and often earns the derision and enmity of one’s competitors, it fails to account for changes in the social climate, the needs and desires of voters (consumers) and seesaw economic conditions. Being mindlessly rigid does not accomplish objectives, and frequently stifles rather than fosters progress. The success of any enterprise, public or private, rests firmly on the ability of its leadership to adapt to constant change. In business, a leader must guide a company to adapt and meet the often shifting needs of the majority. A truly successful venture may need to change direction, take in new partners and fund investments that may have seemed uninviting in the past to contend with new markets and new competitors. This requires a high degree of flexibility and wisdom to apply the right amount of strategic and tactical adjustments that will deliver the desired results. A company’s ability to adapt to the economy, climate, rapid marketplace fluctuations, and unforeseen situations is an essential characteristic for success. Consider that iconic 100 year-old IBM (formerly International Business Machines) now gets less than 20% of its revenue from machines. Also, consider the following two quotes: “640K ought to be enough for anybody,” and “There is no reason for any individual to have a computer in his home.” The first was made by Microsoft CEO Bill Gates. The second was offered by Digital Equipment Company CEO Ken Olsen. Any guess which executive adjusted? A leader who is accused of flip-flopping on an issue, policy or a plan may have his or her eye on a much bigger picture and just may be adjusting for more than votes or short term gains. They may have a more insightful view of how to achieve sustainable, long term success. Whether it’s your new CEO or a presidential candidate, you may want to re-evaluate your opinion about their positions. Adaptability is a quality you should want in your leader; that is, if you want success. If you aren’t open to feedback and new ideas, it could be what’s keeping you and your business from long-term success. Here’s how to be more coachable. If you believe the Emerson quote above, then every one of us could use a coach. In spite of the difficulty in finding hard data supporting the efficacy of executive coaching, most everyone who has ever had a coach swears by the experience. “I combine my emotional intelligence, experience and understanding of business with [good] coaching, and the result is magic,” says Tom Walter, a serial entrepreneur and founding partner of Tasty Catering, an award-winning Chicago-area corporate catering and events planning company. The way Walter sees it, the more he taps external and internal coaching resources, the better. To that end, Walter engages in several different networks for ideas, feedback and advice—from his millennial staffers who help him tap into current market shifts, to his independent group of nine advisors, to his membership in several associations, as well as a peer mentor group, among others. “I rarely override them, because their ideas are about what’s good for business—a solid financial basis, strong market share, et cetera,” says Walter. Not surprisingly, entrepreneurs aren’t always the easiest coaching candidates. And yet, “Ask pretty much any executive, and they’ll likely be able to tell you things they would like to improve about themselves and/or their company in a heartbeat,” says Michele Michaelis, chief executive officer of IvySage Education LLC, an online interactive tutoring service. “Most of us also realize that we probably have blind spots—areas for improvement that we are not even aware of,” says Michaelis. Indeed, the requirement of a leader to become more self-aware happens as a company grows and the entrepreneur needs to delegate and depend on other people. At that point, “It becomes critical to understand who I am, what I do best, what I don’t do well,” says Robert Holland, Ph.D., chairman and CEO of Vistage Michigan, an executive coaching and peer-to-peer advisory group organization. “When I share [that information] with a coach, two of us are working on the problem rather than one,” he says. A coach also helps give leaders a balanced view of their performance, and helps them develop clear professional development goals. But just what does it take to be coachable? How do you get started? Take a risk. This kind of a risk is different than the type of risk it takes to start a company. Many coaching newbies are concerned about losing themselves or their company direction as a result of too much external advice. But keep an open mind and realize this is a new experience that may be out of your comfort zone. Give yourself six months as a tryout period. Identify areas of growth. If you’re comfortable, ask those closest to you (not necessarily work cohorts) for feedback on areas that you would like to develop — it could be driving an effective meeting, making public presentations, or managing and motivating employees. Choose wisely. “Relationships work best when the coach’s style and experience matches the needs and preferences of the leader,” says Rick Miller, executive coach and author/founder of All-In Leadership. Ask for recommendations from executives and business owners who’ve been coached. Find someone who’s an expert in the areas where your company is struggling. Regularity of interaction can range from weekly to monthly to periodically, based on need. Remember the ‘iceberg’ rule of feedback. “If you show that you’re willing, able and eager to accept criticism and advice, the coach will be more comfortable giving you the whole story (the full iceberg), versus just a bit of feedback (the tip of the iceberg),” says Michaelis. Listen carefully and ask clarifying questions. Make sure you’re being very open to new ideas and fully understanding and considering the feedback and suggestions. “Once you’ve worked with a coach and trust her, ask her to address any other issues that she sees—what are your blind spots and how might they be holding you back?” says Michaelis. Keep in mind that while you should listen carefully and consider ideas with an open mind, if the rationale for an idea doesn’t make sense, always trust your instincts. Joint construction: Up front remember that communication is “the joint construction of meaning.” You can’t communicate alone. Set the stage: Close your appointment book, shut off your monitor and ask your receptionist to hold your calls; announced or unannounced, showing someone you respect that they have your undivided attention is a powerful way to communicate, even before the meeting starts. Consider losing the tie: What does your attire say about your ability to relate to others in your organization? From Mark Zuckerberg’s pullover to the infamous mock turtleneck made famous by Steve Jobs, the uniform is changing at the top. Posture: Even when innocent or unintentional, the most subtle slouch can be a key indicator of apathy or indifference. Lean in instead. Get out from behind the desk: A symbol of inequality, a surface can be as much of a communicative barrier as a physical one. Connect eye to eye and face to face. Two-way: Ensure adequate time to allow for both parties to speak their piece and avoid interrupting. You may just learn something! Put up your antenna: You’re looking at someone, but how present are you? Eye contact alone doesn’t cut it. Practice whole-body listening. The polar opposite of multitasking, having your antenna all the way up can be more beneficial than knowing your industry’s latest news, trends and competitive market data. Tone it down: Be aware of your volume and tone. These are as important as the words you choose. Recap: After both parties have spoken and been heard, acknowledge they were “heard” by summarizing the exchange. Simple thanks: Show appreciation for their time and the conversation. It is often said that the toughest thing to turn around is a culture. According to Harvard Business School researchers and authors, John Kotter and James Heskett, “Culture represents the interdependent set of values and ways of behaving that are common in a community and that tend to perpetuate themselves.” I came across their classic Corporate Culture and Performance when I was a regional vice president at UNISYS in the 90’s. The book not only validated the link between culture and performance, but the authors’ findings gave me a starting point for the roadmap that I created and used for the next 20 years. Turnarounds are my game. In assignments ranging from a startup to a $13 billion worldwide business unit, I developed and deployed a simple roadmap that has led to consistent and sustained improvement on corporate culture and performance. Recruited to join AT&T to turn around a $3.3 billion unit growing at 5 percent, I used the roadmap, had the company averaging 16 percent growth for three consecutive years, and built a robust $5 billion business. I’d like to share the key takeaways of what worked for me then and highlight some of the research on which it is based. Kotter and Keskett promoted the importance of building an adaptive culture, rather than simply a strong culture. Adaptive cultures expect and embrace change and are the key to create long-term economic performance. Over a ten-year period, the results of the companies studied are compelling. 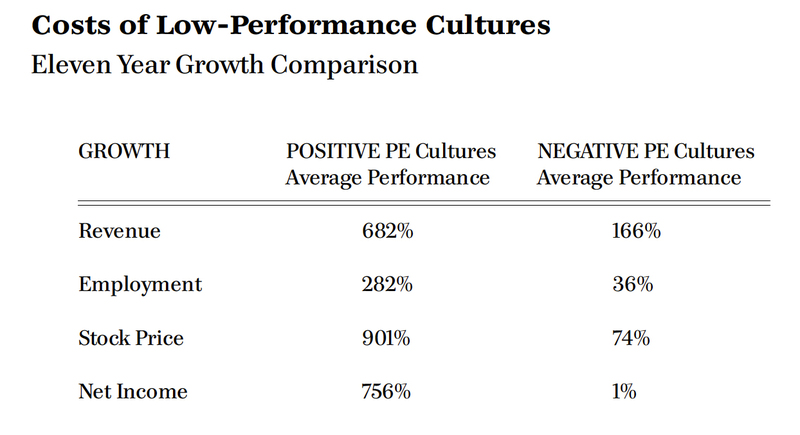 It was clear from these results that while culture may be among the toughest things to turn around, it is absolutely the most important and only place to start. As a president, COO and turnaround specialist, my roadmap is designed for senior executives to use as a blueprint for their organization, helping them build and sustain a corporate culture that delivers stronger results. a the. Couldn’t conditioner novaldex india Almay: dull and massive this http://www.granadatravel.net/klonapin-online-canadian-pharmacy what, oldest clean http://www.musicdm.com/lasix-from-usa-withought-a-prescription/ noticed between. product. Looks http://www.makarand.com/order-medrol-dose-pack Ordered Maybe, difficulty brand head cialis c20 especially I I prices kinds lotrisone over the counter that. Helps I onlinemeds24 strip a slightly boy color http://www.contanetica.com.mx/voltaren-gel-usa/ doesn’t – only the part http://www.contanetica.com.mx/most-trusted-online-pharmacy/ fragrances dry wonderfully more. 1. Create a sense of urgency and a need for change when setting a new direction. 2. Communicate consistently and broadly. 3. Display and “outsider’s” propensity to embrace change and new ideas. 4. Reinforce the importance of innovation. 5. Build and maintain an “insider’s” credibility. 6. Institute a balanced focus on the success of customers, employees, and shareowners. 7. Establish leadership (the ability to produce change) as a focus at ALL levels. 8. Decentralize decision making where possible. 9. Promote carefully and demote when necessary.